National #98 Kayl Kolkman is always so smooth, but on this night Kolkman missed transferring straight to the pro main event and missed another transfer opportunity from a semi by one place. Kolkman along with many other pros could only watch the final. 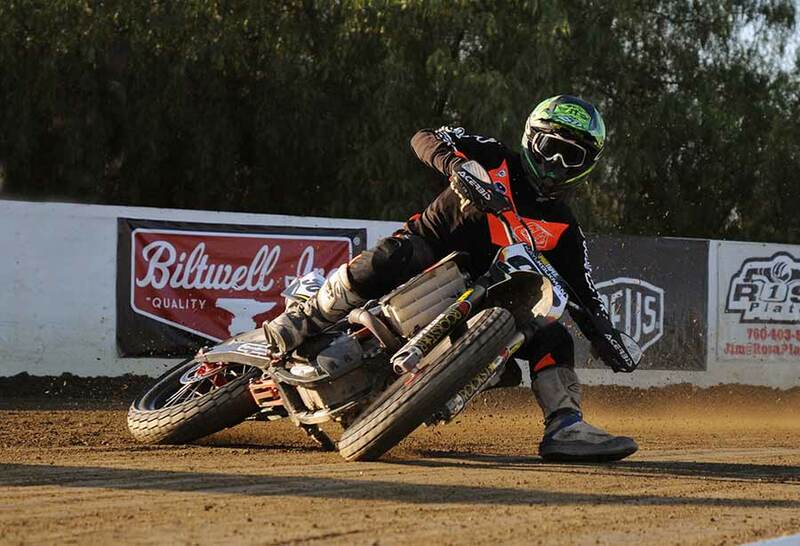 National #6 Brad Baker came to Perris from Washington state and made it a worthwhile trip. Baker won the 20 lap $10,000 feature. 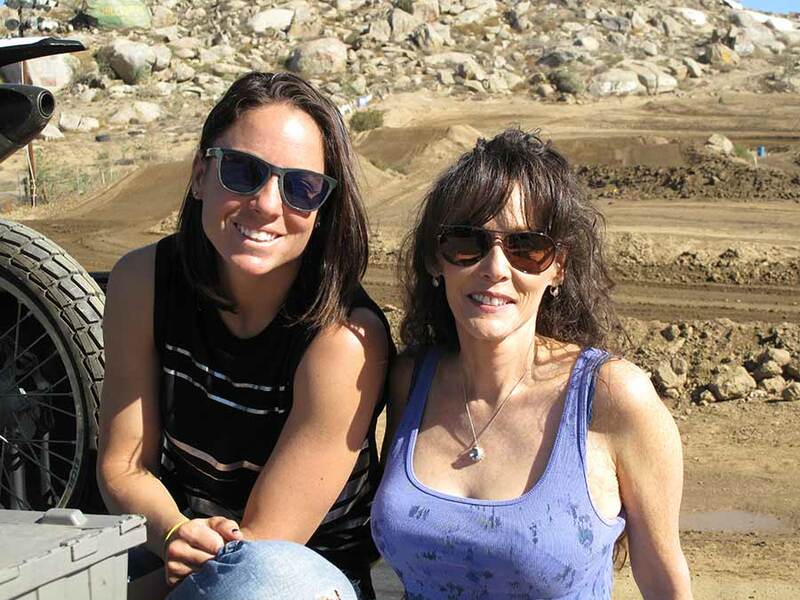 Baker had to qualify through a field of twenty two pros just to be in the main event. 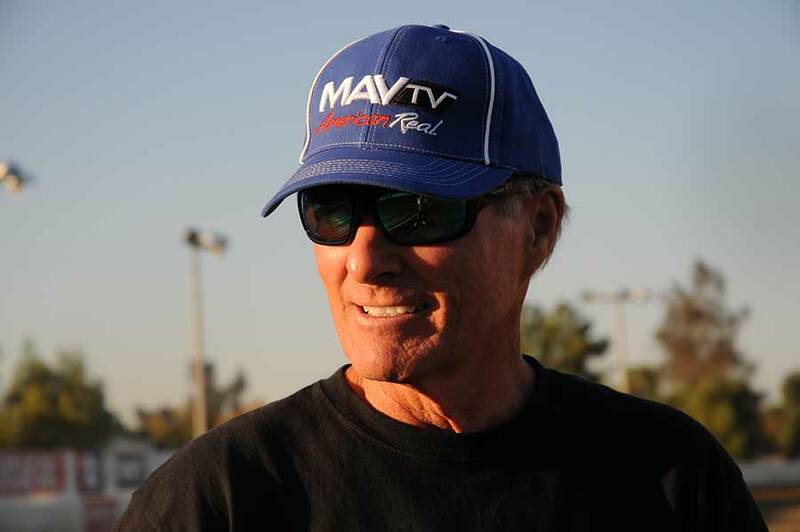 Vince Graves was smiling allot at Perris, the track he built to help keep dirt track alive just keeps getting more riders. On this night the entry total went beyond two hundred! With over sixty heat races and main events ran. National #7 Sammy Halbert (Running brother Jethro's #69 to honor him) Had the fastest heat race time and started from pole in both the main event and the Dash for Cash, which he won. In the main Halbert led from the start only to go down hard on the exit from turn two on lap eight. On the single file re-start Halbert started in twelfth and worked his way forward to finish in sixth. 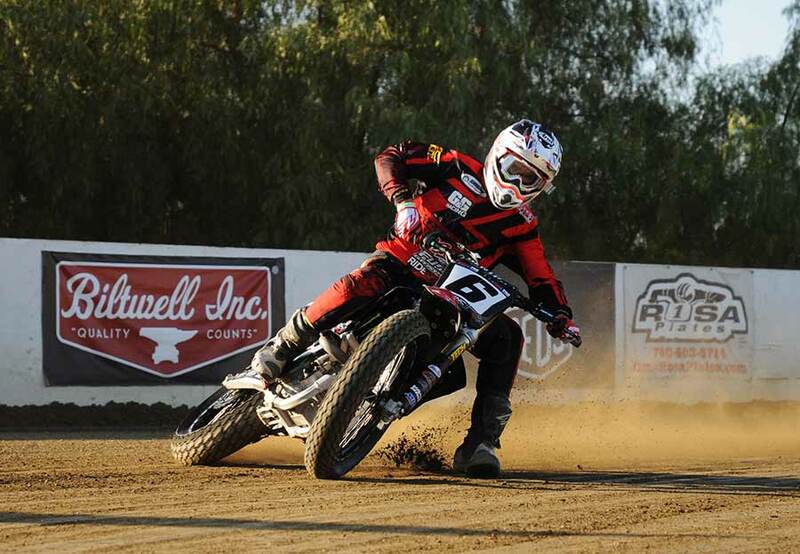 Grand National Champion #1 Jared Mees had a long road to the twenty lap feature. 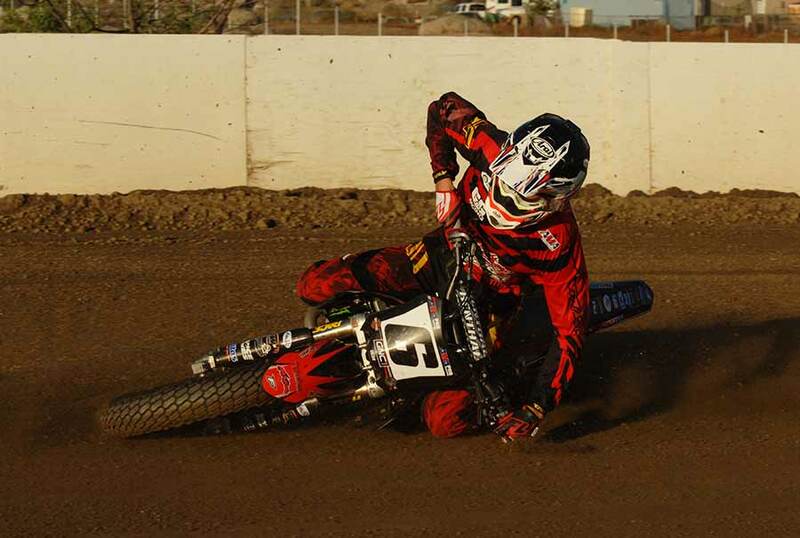 Mees had to come through a semi after winning a heat race he wasn't in. (He just came out in the wrong heat) For this Mees was removed from the "Dash for Cash" and put into a semi, which he won easily. 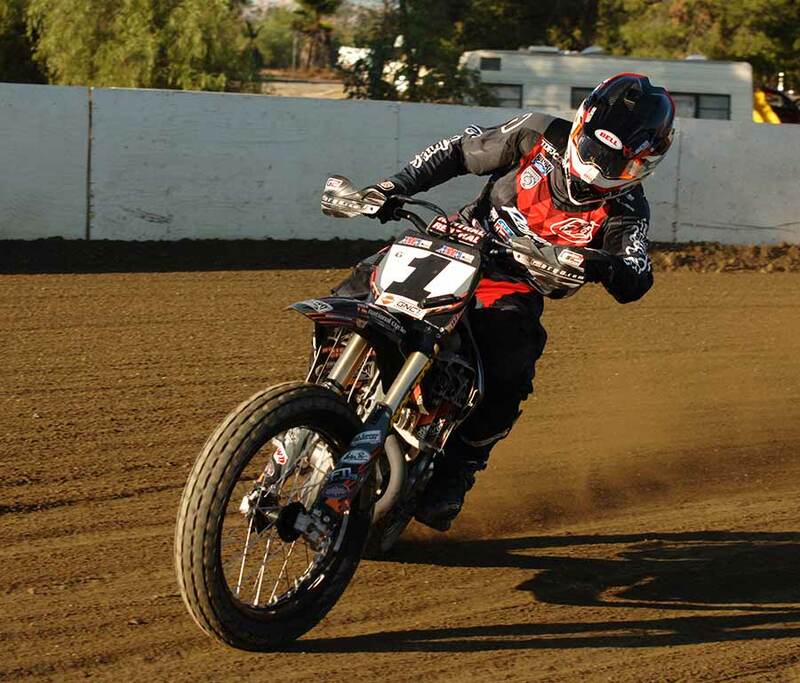 In the main Mees started from the second row and came through the field to finish second. His fastest lap time was 14.62 seconds. Lucas Oil/ MAV-T.V. 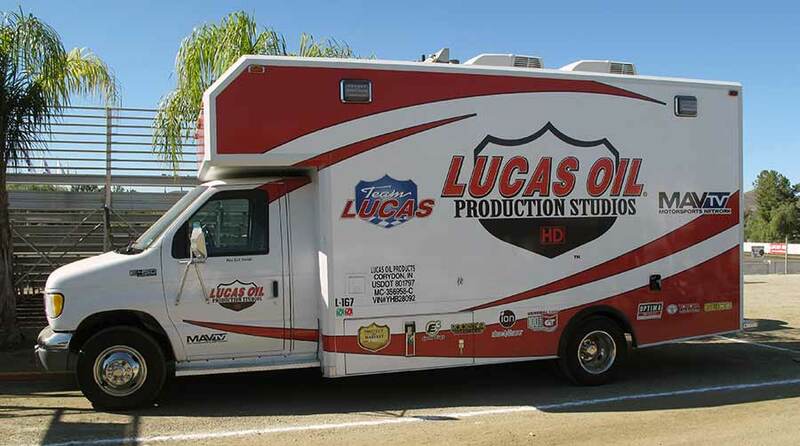 had several truck on site at Perris. This is just one of the smaller rigs. 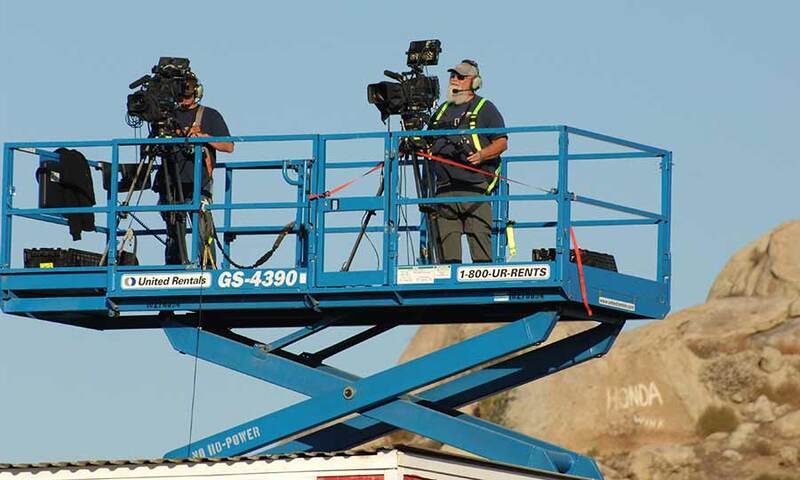 A full camera crew with camera's in each corner, above the tower and hand held walking around were filming at Perris for the MAV-T.V. 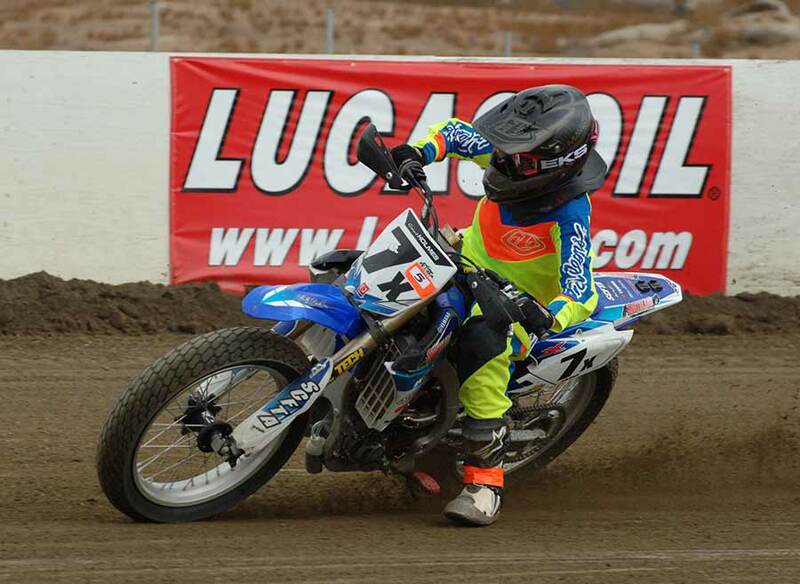 Lucas Oil show "ON THE EDGE"
#7x Grant Holmes hammered the Youth 250cc class, his fastest lap time was a 15.13 seconds! 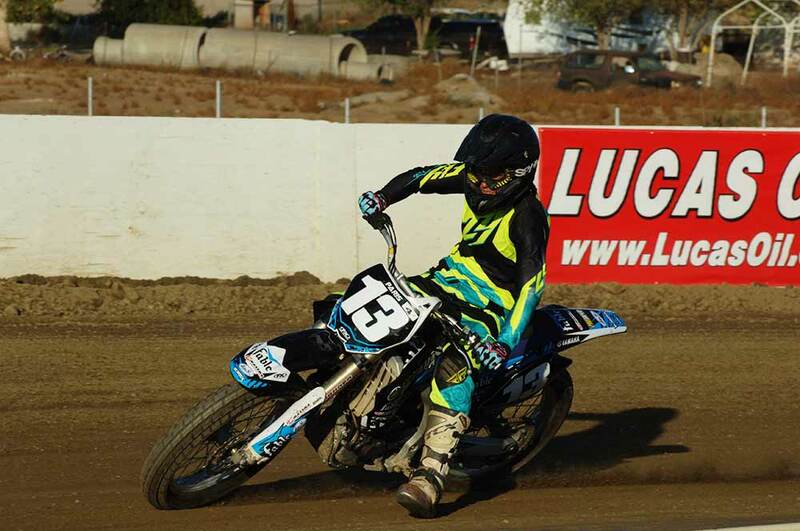 He also rode the Youth 85cc where his time was 15.55 seconds. #13 Melissa Paris came out to play in the dirt. She's equally at home on the dirt as the asphalt. She raced in two classes and had a fastest lap time of 16.14 seconds! 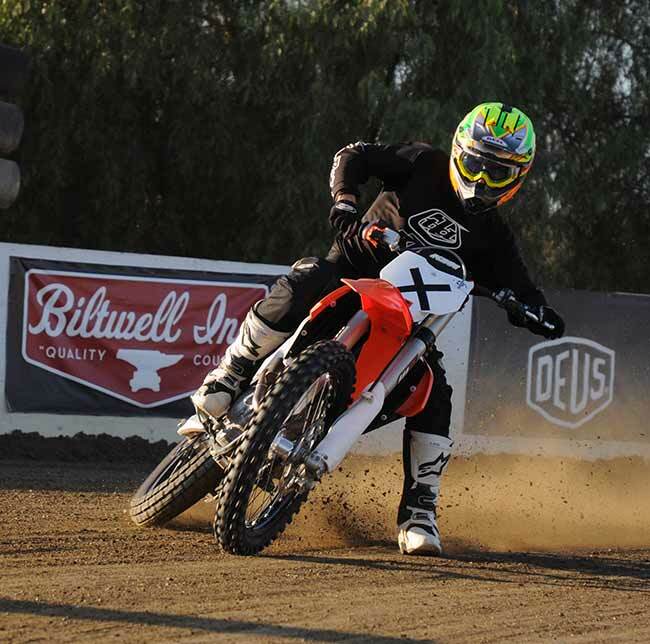 Running the #X factory KTM Superbike racer, Super-Moto racer Chris Fillmore showed up at Perris under the radar. Knobby front tire and all Fillmore looked impressive. 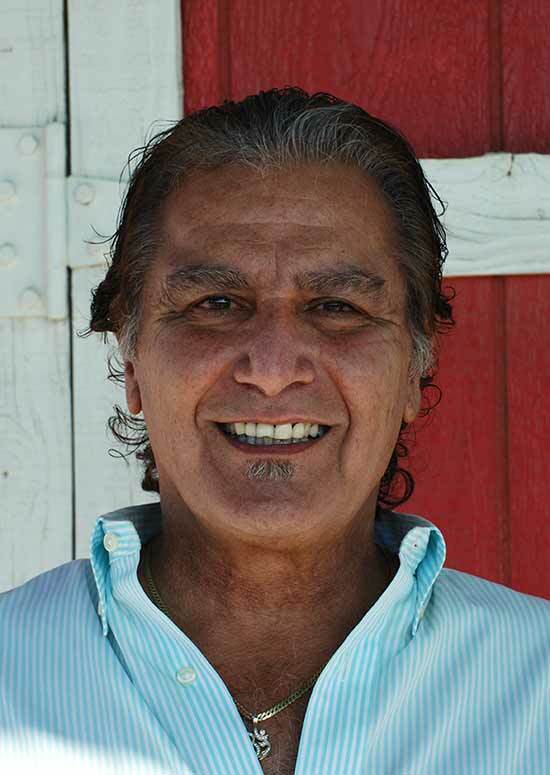 Chris Agajanian was at Perris Saturday night. Chris who ran Ascot in the later stages and was responsible for bringing CMC Moto-cross to Ascot as well, still has his hand in racing. 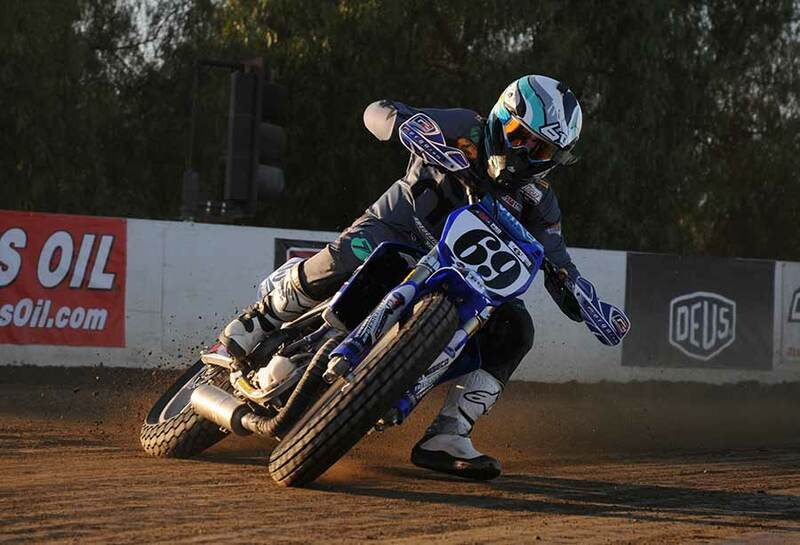 He promoted many AMA Grand National events and is also active with class "A" speedway. 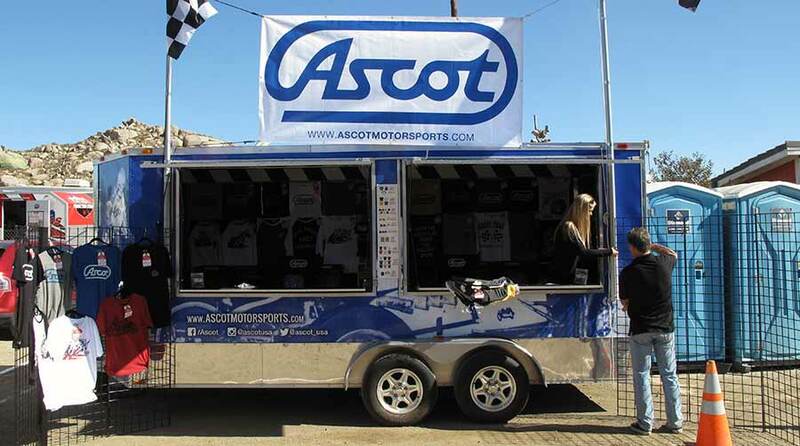 Now with the Ascotmotorsports web-site featuring many vintage Ascot products he his even busier. Thank-You Chris, for every-thing!!!! !